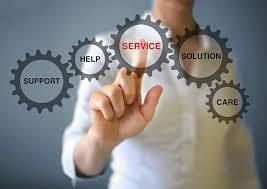 ​For more information about our services call 0800 098 8708 or use our Enquiry Form. We operate popular Employment Clinics (see Employment Clinics page) through 10 locations based throughout Leicester City, Leicestershire and Rutland. Our employment advisers offer free work & learning information, advice and support through one-to-one sessions. After initial assessment of the customer's needs, a Personalised Action Plan is created with the individual's input and is followed by regular reviews. Employment Clinics are for the Mental Health Employment Service and Careers Education Service. At Employment Clinics our advisers use mobile web-enabled laptops with access to job vacancies, volunteering, apprenticeships and learning opportunities, we help with applications, can create effective CVs, and help assess prospective opportunities to see how they fit with the customers' health needs to try and match their skills and aspirations with healthy and sustainable recovery. This service is funded by the local CCGs: City, West, East Leicestershire and Rutland Clinical Commissioning Groups, and we deliver this jointly with Leicestershire Partnership NHS Trust. All the services highlighted on this page are available to Mental Health Service customers who use, or have used, ​specialist, i.e. secondary care mental health services. The service is underpinned by the belief that working and learning can be very good for an individual's ongoing mental health recovery and can improve their confidence and quality of life. We provide mentoring that is proven to help individuals overcome barriers to working by building coping mechanisms and strategies for staying well at work, so they can start a job and sustain employment. In-work support mentoring is available to our customers who achieve job starts through our Mental Health Employment Service. Mentoring and job coaching services are available to purchase by individuals with a Personal Budget or who can self fund. We work with adults with a Personal Budget or who can self-fund. Available to purchase, we have pre-employment mentoring, plus work placements at Aspiro or with other providers, as well as job coaching & intensive in work support. As part of our Mental Health Employment Service we provide job retention services to individuals who are currently working and need help keeping their job through our individualised support, liaising with the employer and their occupational health services. We are able to attend meetings with employers to support the individual and help facilitate reasonable adjustments, which will make the role more manageable and effective. Our job retention service is available to purchase by employers and is an invaluable tool to help companies retain their already trained and experienced employees. Using a Job Retention Service recognises mental health problems as (potentially) a disability, thereby ensuring compliance with the Equality Act 2010, but most importantly keeping staff who often return to work and contribute again to the business.